During the manufacturing process in the cable and paper industries, cable drum and paper reel pushers are required at various stages of the production process. 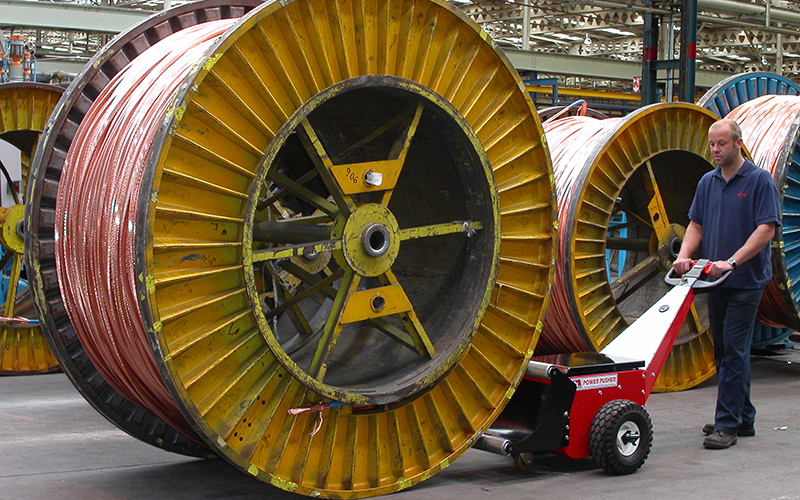 In the Cable sector: cable drums need to be pushed into and out of winding stations, test chambers and storage areas. In the Paper industry: paper reels need to be moved out of slitters and pushed into wrapping and re-wrap stations on the production line. Historically, in both of these industries, these actions have been done manually or using the tines of a forklift truck to ‘flick’ the drum. Both of these actions cause health and safety risks in the workplace. When drum handling is carried out manually it requires multiple members of staff, which is timely, cumbersome and can also cause a risk of back injury. Utilising a forklift or clamp truck to move reels can be extremely dangerous, this isn’t want that machines are designed to do and the process of ‘flicking’ a drum isn’t a controlled process. Subsequently, the tines frequently damage the product, which is an unnecessary expense to the business. 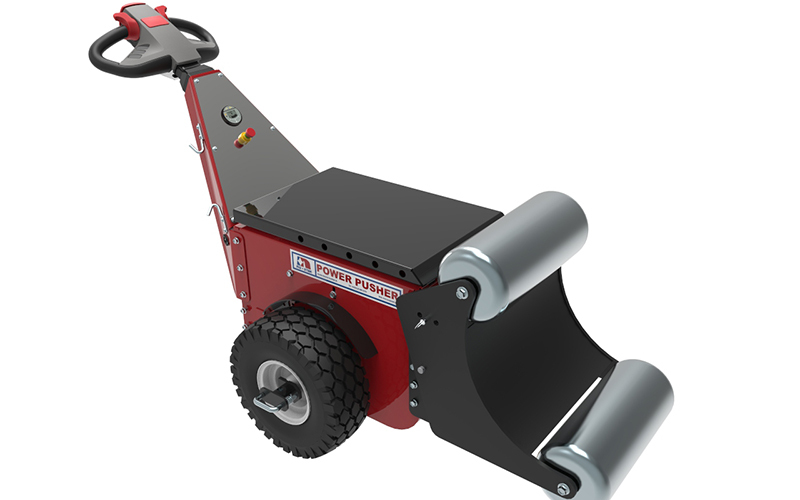 Our range of Drum Pushers and Reel Pushers are the ideal solution; minimising both the health and safety risk and the expense of product damage.Our electric pushers are single pedestrian-operated, compact and agile. Suitable for areas limited by space and significantly more cost-effective than overhead cranes or large forklift trucks. Nu-Star offers five powered pushers. 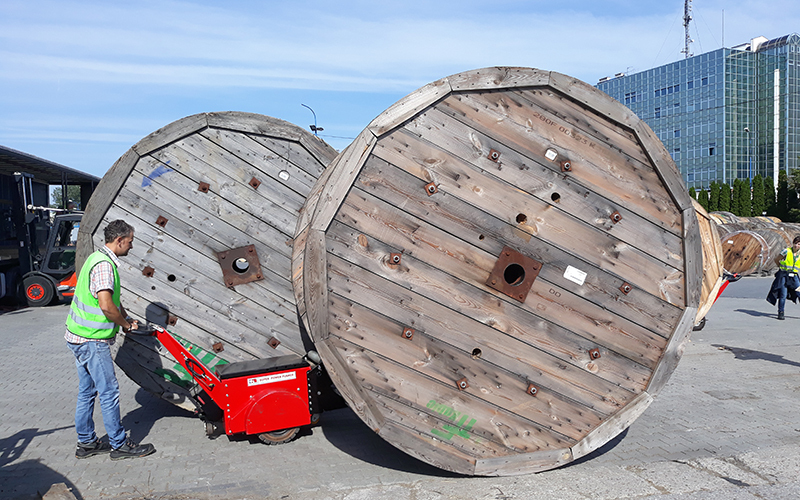 We also offer a unique roller attachment that can be quickly adjusted to suit different drum diameters.The below indications are based on steel flanged drums, as wooden flanged drums can become distorted in shape over time, making them more difficult to push. 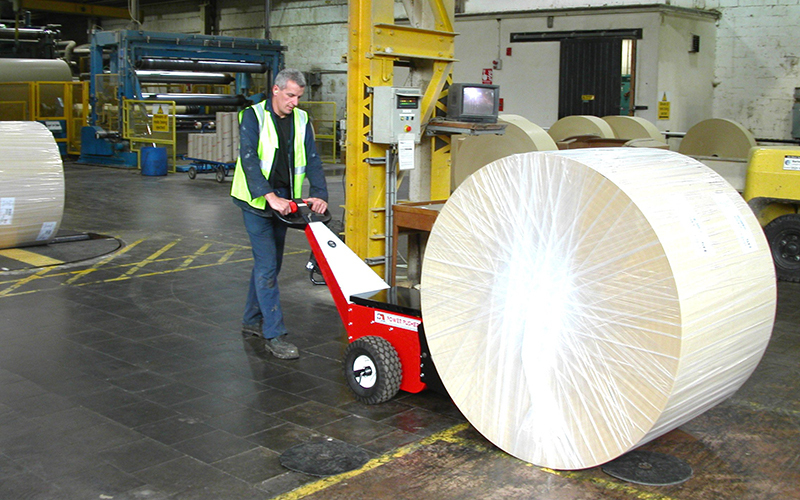 Our electric movers are for pushing drums and reels, they do not pull or steer. Need a little help? Get in touch to discuss your requirements, we’re always happy to help.